Salad greens are a staple in my house and for good reason: they're cheap, nutritious, and work as a base or an accompaniment for almost all meals. However, it's all too easy to forget about them and then pull out a bag filled with sludgy dark goo or yellow, inedible leaves. Turns out there's an easy homemade solution to this: your own breath. 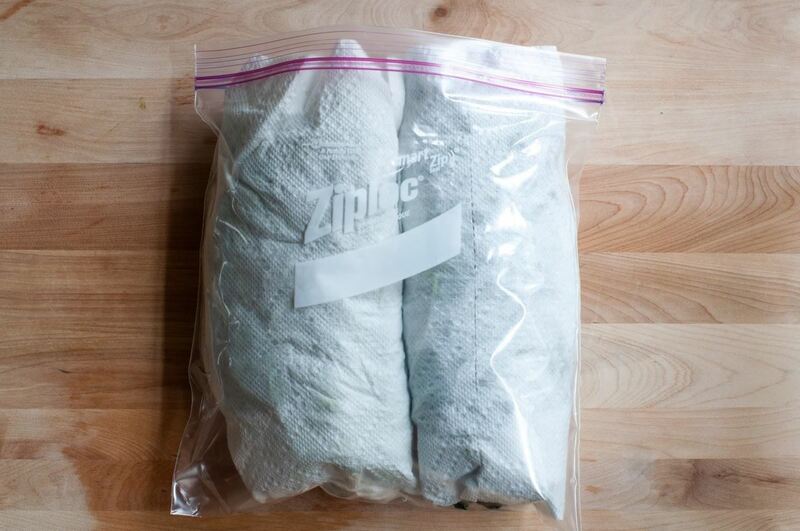 Dorie Greenspan, celebrated cookbook author and culinary guru, washes and dries her greens, then puts them in a plastic bag—but right before she closes it up, she breathes into the bag. She swears by this trick, which she learned from a farmer and included in her book, Around My French Table. It makes sense, too. Greens of all kinds are packaged in specially designed plastic bags to maintain a balance of carbon dioxide and oxygen, since carbon dioxide halts the process of deterioration in greens. 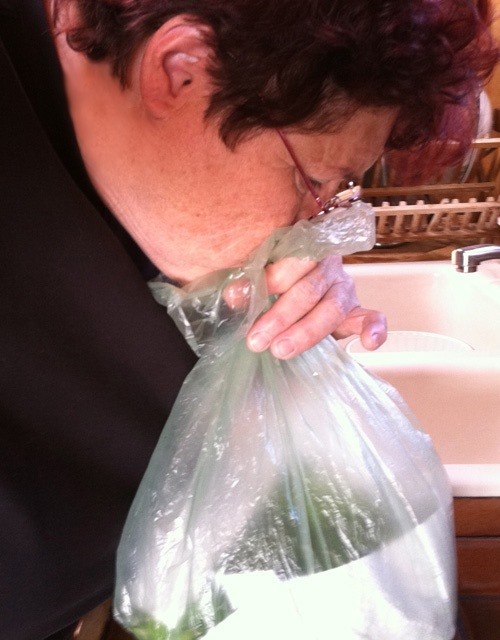 However, some people might wonder whether or not it's sanitary to breathe into your bag of greens. After all, you've got a lot of bacteria in your mouth (some of which causes bad breath) and which could theoretically get transferred to your greens. Never fear. The canny folks at Cook's Illustrated found a more sanitary way to harness CO2 to keep your greens greener longer. They came up with a "time-release" container of carbon dioxide using nothing more than baking soda and vinegar and an old spice jar. 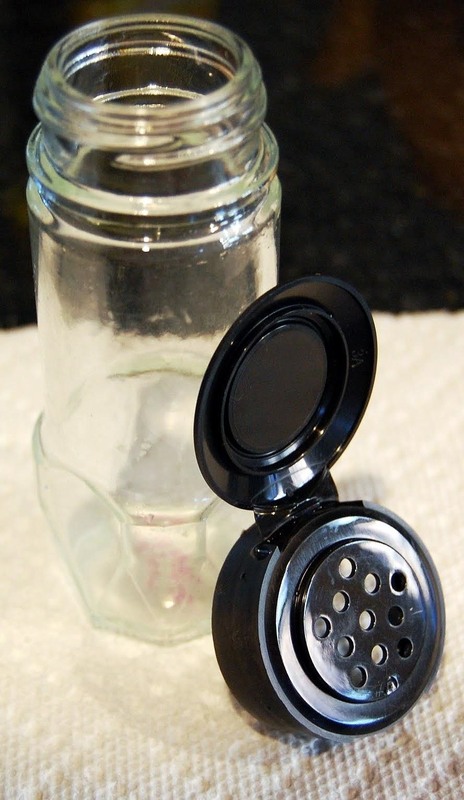 To make your own time-release jar of CO2, get a small, clean container like a spice bottle and freeze 1 teaspoon of white vinegar inside it. 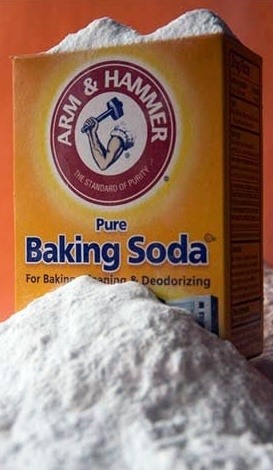 Once it's frozen, sprinkle 1 teaspoon of baking soda over the vinegar. Next, form three layers of paper towels and cut a square so that it fits completely over your container's opening. Fasten it securely with rubber bands. 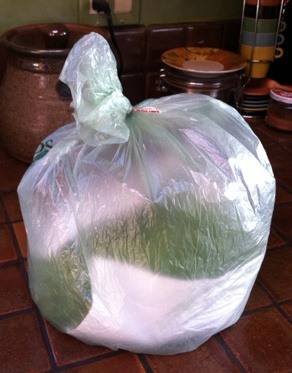 Then put the container so it stands upright in a zip-sealed plastic storage bag along with your greens and seal the bag immediately. 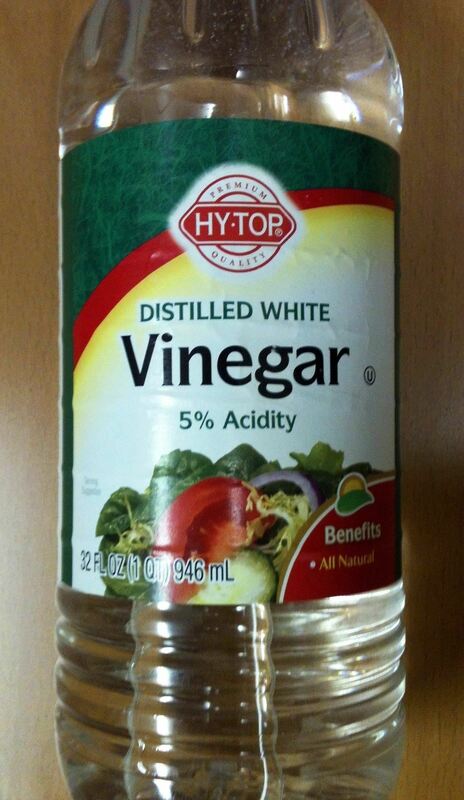 Cook's Illustrated explains that when the vinegar (an acid) melts, it will combine with the baking soda (an alkali) and produce CO2, which is why this would also work well for blowing up balloons. The paper towel will filter and control the release of this gas, prevent the vinegar from leaking, and extend the life of your greens for several days (up to 5, by their count). If the breath method is too gross and the Cook's Illustrated version too much trouble, then check out #6 in our post on paper towel hacks. You can significantly extend the life of your salad greens simply by wrapping them in a clean paper towel or cloth to absorb excess moisture before you store them in a plastic bag.